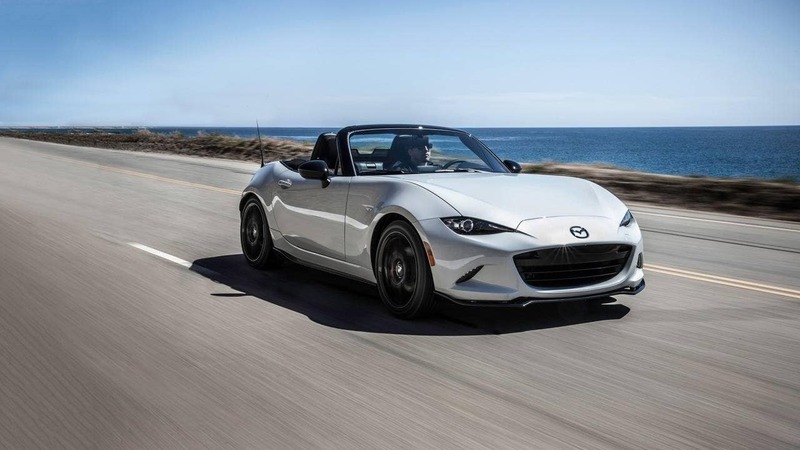 Then look no further than Island Mazda of Staten Island, NY to check out the pure iconic roadster – the 2017 Mazda MX-5 Miada. The MX-5 Miata is Mazda’s flagship sports car and the embodiment of the brand’s driver-focused philosophy. The brand’s only current sports car and only current convertible, the MX-5 Miata is a standout in the line-up. Designed from the start 26 years ago as a soft-top convertible, it now offers a power-folding hardtop model. The 2017 Mazda MX-5 Miata is a beautiful product of engineering art, but you make it complete. The MX-5 becomes nearly perfectly balanced when you are sitting in the driver’s seat. Distributing the car’s weight evenly between the front and rear, thus helping to enhance directional control and cornering stability. In Japanese culture, Jinba Ittai refers to the symbiotic oneness between horse and rider. Mazda emulates this sensation by engineering cars that respond exactly how the driver expects. No car embodies this ideal more strongly than the MX-5. And it started with the introduction of the very first one back in 1989. When every part of a car works together seamlessly, performance and efficiency are maximized. That’s the simple notion behind SKY ACTIV TECHNOLOGY. Body construction, chassis, transmission and engine work in perfect harmony to deliver thrilling performance without sacrificing efficiency. People ask, “Why does racing matter?” To that Mazda asks, “Why does air matter?” By pushing their cars to the extreme in fast-paced and unforgiving environments, Mazda has learned valuable lessons about safety, performance, efficiency and reliability. And that translates into a better car for you, both on the road and on the track. After all, more Mazdas are road-raced on any given weekend than any other car. The original Miata changed the face of motoring by bringing pure joy back to driving. And over a million MX-5s later, that legacy lives on. Mazda made the car. You made it the best-selling roadster of all time. Come visit us today at Island Mazda of Staten Island, NY and give the 2017 Mazda MX-5 Miata a test ride. Check out what we have in stock here. We look forward to doing business with you!